The annual report from the Pentagon’s Director of Operational Test and Evaluation (DOT&E) again contains serious criticism of the F-35 program. Unresolved problems in the development, plus availability and reliability issues, are all of concern. “The operational suitability of the F-35 fleet remains at a level below service expectations and is dependent on work-arounds that would not be acceptable in combat situations,” the report said. There are “many open deficiencies” in the definitive Block 3F software, the report said. As DOT&E chief Gen. Bob Behler notes by way of introduction, the F-35’s combat effectiveness relies on software mission data files (MDFs) to identify and correlate threat versus friendly radar signals. But the Pentagon’s reprogramming laboratory that creates the MDFs “continues to operate with cumbersome software tools and outdated or incomplete hardware.” The report does note that this is the fault of the F-35 Joint Program Office (JPO), not Lockheed Martin. Testing of the F-35’s weapons has revealed various deficiencies in both air-to-air and air-to-ground missions, the report alleged. These include an aiming bias on the 25 mm internal gun on the F-35A. The podded guns fitted to the F-35B and F-35C versions are more accurate. However, a detailed table of weapons testing included in the report did reveal successful firings of AMRAAM, AIM-9X, and the UK’s ASRAAM air-to-air missiles, and successful dropping of GBU-12/31/39, SDB and the UK’s Paveway IV air-ground weapons, and the JSOW missile. Specifically on the F-35B, the DOT&E reported delays in flight testing because of the need for test-unique tail coatings to prevent overheating the horizontal tails at high-airspeed test points; the need to repair unanticipated cracks in the main landing gear and structural frame; and engine restrictions. 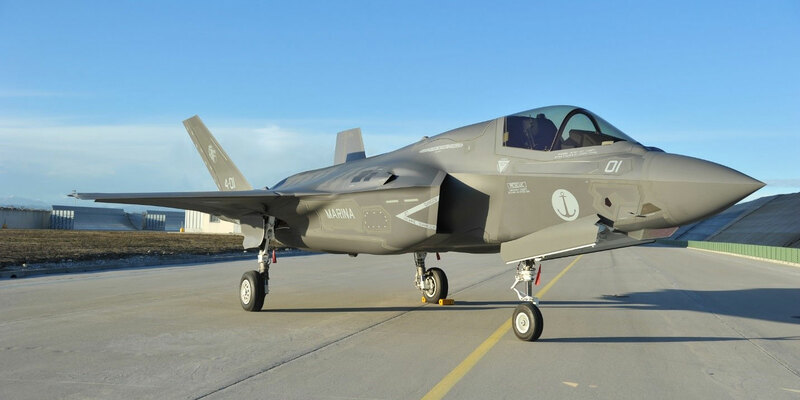 The structural test article “had so many repairs (that) it was no longer representative of the production aircraft.” A new test article is required, and in the meantime, the DOT&E warns that the F-35B may not achieve the advertised service life of 8,000 hours. The B-model’s tire-life is well-below expectations, with no remedy yet identified. F-35B pilots have been losing situational awareness during night landings on aircraft carriers because of deficiencies in the night vision camera that is used with the Gen III helmet. The air refueling probe tips “are breaking too often,” according to the report. There has been no significant improvement in the F-35’s availability rates since October 2014, the report noted. The system-wide figure is approximately 50 percent, which is 10 percent below the "modest” 60 percent goal. Overall F-35 reliability “has changed little compared to July 2016,” according to the report. However, the later production lots are doing better. The report particularly criticizes the controversial Autonomic Logistics Information System (ALIS). The report reveals that the U.S. Marine Corps had to suspend flight operations at its main training base, MCAS Yuma in AZ, because ALIS was not properly tracking engine life. Meanwhile, the US Air Force temporarily suspended fielding the latest version during last year. Some previously-identified cybersecurity vulnerabilities of ALIS have not been remedied, and may even have led to “compromises of F-35 data”, the report suggests. On a more positive note, the modifications to the ejection seat and the pilot’s helmet to prevent injury to lightweight pilots upon ejection appear to be working. However, the report notes the “physiological events” that affected operations at Luke AFB and for which “no common root cause has been identified.” But as reported by AIN and other media, such events have also affected other fast jet types the U.S. military operates.